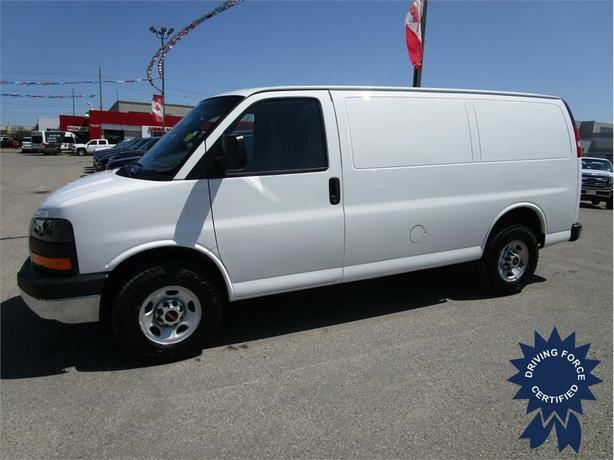 This low mileage 2016 GMC Savana 2500 Windowless Cargo Van will not last long. Features include a bulkhead cargo barrier, backup camera, RH sliding side door, 12V power inverter, cruise control, chrome grill, chrome bumpers, no rear windows, trailer tow package, 3:42 axle ratio, balance of full factory warranty, a fresh service, and has been inspected to our high standards. Call or email one of our knowledgeable fleet sales consultants in Calgary to experience the DRIVING FORCE difference today.